A colour slide of the driveway at 609 Pine Street, Whitby, Ontario. 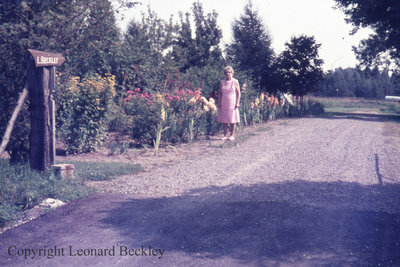 In this view Elizabeth (Betty) Beckley can be seen standing by a flower garden. 609 Pine Street, August 1976, Leonard Beckley. Whitby Archives A2014_004_293.